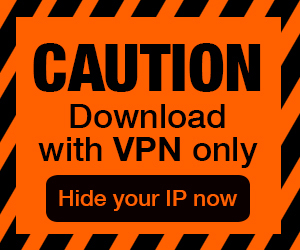 Posted by Admin | December 9, 2018 | Casual, Racing, Simulation. 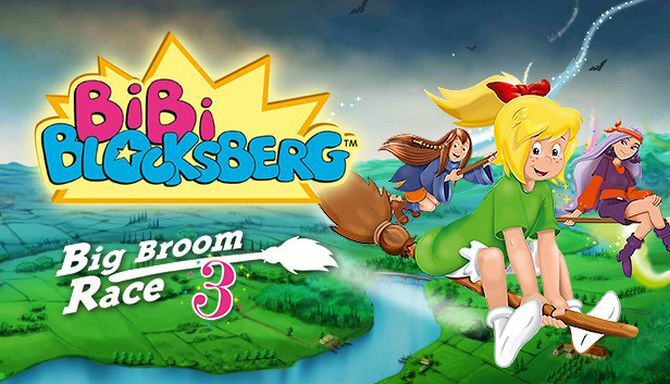 Bibi Blocksberg ™ – Big Broom Race 3 Free Download PC Game Cracked in Direct Link and Torrent. Bibi Blocksberg ™ – Big Broom Race 3 – This is only just the beginning of a wild witch rally: Bibi and her friends saddle their broomsticks and set off to discover exciting…. At last, here come the summer holidays! But the prospects are rather dire for young witch Bibi and her friends, because all of their families are going to stay home this year. So Bibi comes up with an exciting idea she can turn into reality with the help of just a little bit of magic: a death-defying broomstick race through unknown regions of Transylvania, the Orient and even in the age of dinosaurs. This is where wild witch rally starts for you! Mount 1 out of 8 different broomsticks and show your flying skills on many risky and challenging tracks. Will you prevail unharmed in the Spirit Swamp and won’t even lose control over your broom in Frankenfein’s Horror Hotel? 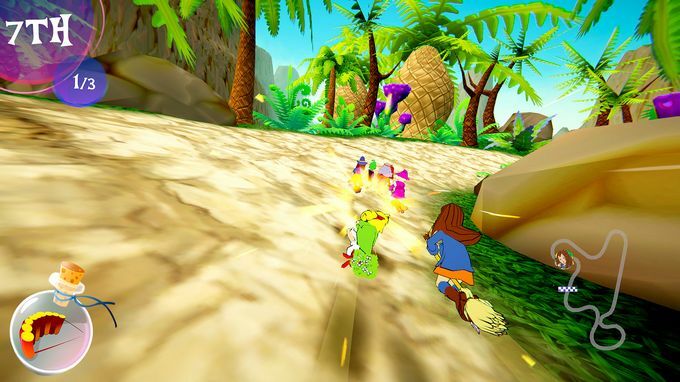 Every track is special in its own unique way, and its special features will have an impact of the gameplay. That includes shortcuts, ramps, speed pads and various obstacles. 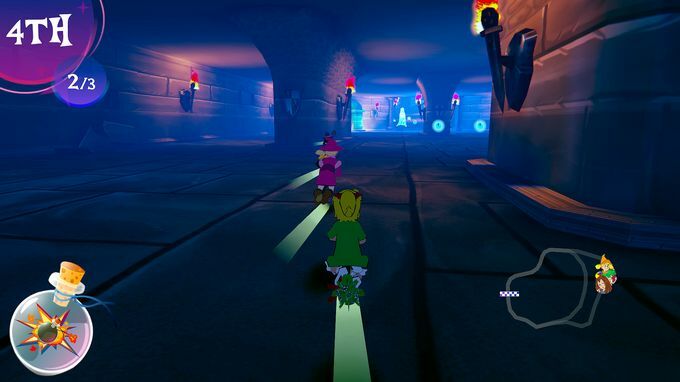 Use secret witchcraft potions and daredevil manoeuvres to get ahead of the pack and finish first.